On 29th September 2015 the CDR headquarters was visited by a Malaysia Government Delegation headed by Kedah state Chief Minister, Datuk Seri Mukhriz Mahathir. 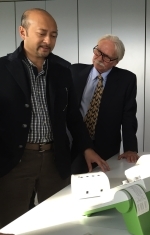 The event was organized by Malaysia Medical Device Manufacturer Spencer Yeoh CEO of Skykod Polyscience and its Italian Partner Steffen Schnabel. We illustrated our company: especially our medical diagnostics systems for blood clotting analysis and the CDR FoodLab® analysis systems for food and beverage quality control. Chief Minister, Datuk Seri Mukhriz Mahathir showed interest especially for the system of analysis for the quality control of palm oil: the CDR PalmOilTester. Indeed thanks to its simplicity and reliability, PalmOilTester is used by palm oil producers in Malaysia, one of the largest producer of palm oil in the world. Furthermore, its characteristics have made PalmOilTester very popular among worldwide food industries that use palm oil as ingredient. Click and Discover more about CDR PalmOilTester: Tests in few minutes, reference methods compliant, ideal to perform quality control tests in all production stages or when the oil is used as a supplement. 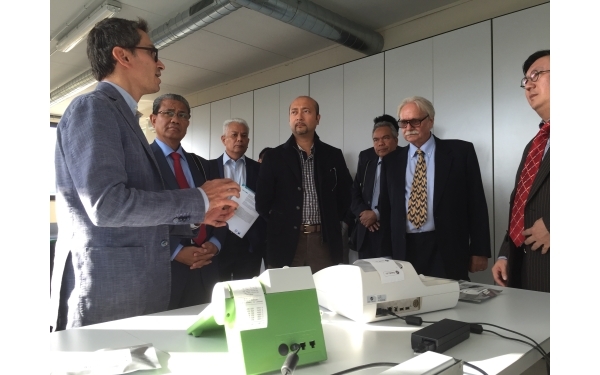 Malaysia Government Delegation visited CDR for the PalmOilTester and the medical diagnostics systems was last modified: May 25th, 2017 by CDR s.r.l.